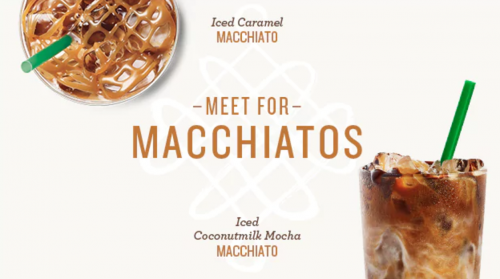 Celebrate International Friendship Day at Starbucks this week – you can buy one Macchiato and get one FREE! This offer is valid starting Thursday (8/3) through Monday (8/7), from 2 to 5 pm. or the Starbucks Dark Roast Sample Pack (includes Cafe Verona, Sumatra and French Roast). 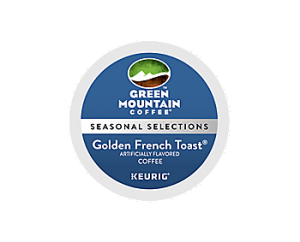 Cross Country Cafe is excited to offer $1 off your Green Mountain Coffee Seasonal Selections Keurig K-Cups! This means you can pick up some Golden French Toast Keurig K-Cups for $13.25 a box (that’s $0.55 per cup). Just use coupon code 1offseasonal113 during checkout, now through 1/20/16. Other seasonal varieties include Green Mountain Coffee’s Gingerbread, Pumpkin Spice, and Holiday Blend and more! I had an email in my inbox this morning from My Starbucks Rewards announcing six fun new Frappuccino flavors this morning, all inspired by fans: Red Velvet Cake, Cotton Candy, Cinnamon Roll, Lemon Bar, Caramel Cluster, and Cupcake…. Is your mouth watering yet? I know mine is!!! What to try first? My girls actually been order the Cotton Candy Frappuccino for awhile now after seeing the “recipe” on one of those Starbucks secret menu sites. They will be thrilled that it’s now part of the regular line. (Some baristas were unsure how to make them.) And the Cupcake sounds very similar to the limited edition Birthday Cake Frappuccino that they offered a few months ago — yum! Want to score a FREE Starbucks Frappuccino (or any other Starbucks drink)??? Just register for the My Starbucks Rewards program! Be sure to register a card and opt-in for promotional emails from Starbucks to receive your free drink offer. Invite your friends to join My Starbucks Rewards today and they’ll get a FREE Starbucks Drink! 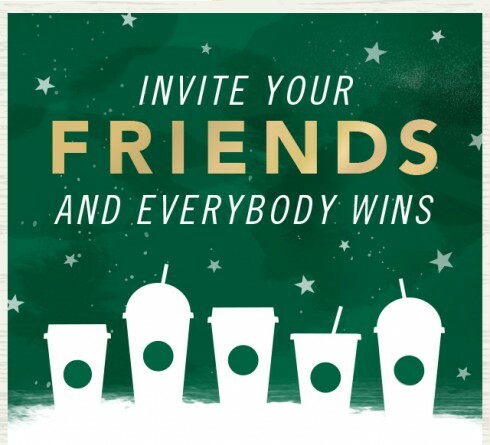 You’ll also earn yourself six Bonus Stars for each friend that joins – putting you closer to your own FREE drinks too.